The only other thing that I love just as much are pumpkin treats. Makes my mouth water just saying pumpkin. 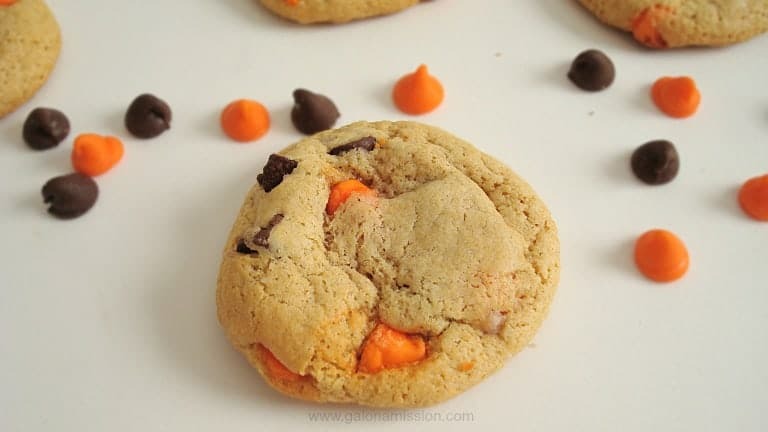 The base of this cookie is always my go to because it always delivers a soft cookie. ALWAYS. Never has failed me – not even once! I was in Wal-Mart the other day and I saw these cute little black and orange chocolate chips. Absolutely cute and adorable. Does anyone else call chocolate chips cute and adorable? Nah, not just me. No way. Now who just wants to go grab a big glass of milk and get to town on these cookies? Sounds perfect! The only other thing that would be absolutely perfect is finding candy corn! The stores have Halloween decorations and chocolate chips out, but no candy corn. What is up with that?? 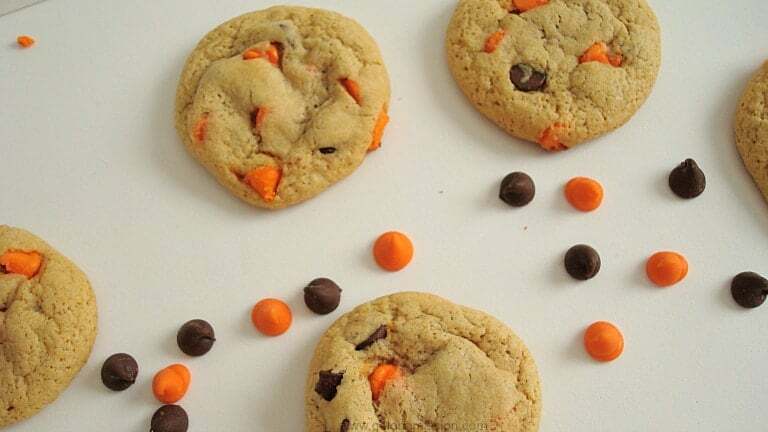 Do you prefer soft or a tad bit harder cookies? The cookies look awesome! I can’t believe I didn’t know they sell Halloween chocolate chips! How fun! I pinned this to my Halloween board! These look delicious!! I can’t stand crunchy hard cookies. I love that these are super soft and my grandsons would really enjoy them. These look absolutely wonderful and I love the Halloween chips! My two lil ones absolutely love chocolate chip cookies. We definitely prefer them softer, which is why I generally take mine out of the over just before the are fully cooked so they stay a bit chewy, too. Victoria – They are absolutely delicious! Oh my goodness these look AMAZING!! Thank you! You are more than welcome, Sarah! I prefer soft cookies too. Thank you for sharing this with us. They very festive and good. soft cookies are the best! You had me at “super soft”. 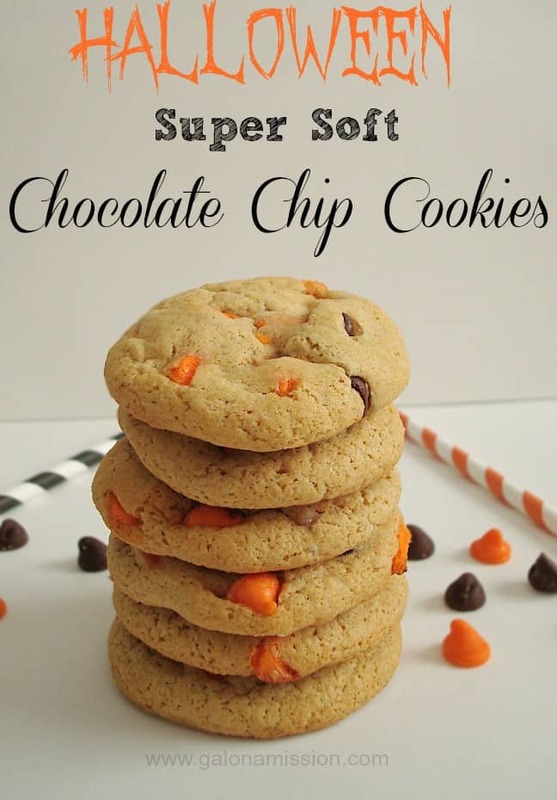 I love super soft cookies, and these look delicious. Bookmarking the recipe, thanks!